ARNIE Powers AERA Division H Booth, Toronto April 6-8, 2019! Congrats to the 2018 AERA Division H Winners! 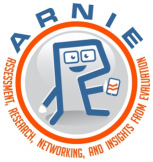 ARNIE Powers AERA Division H Booth, New York City April 13-17! ARNIE Powers AERA Division H Exhibit Booth, San Antonio April 28-30!